The third book in the New York Times bestselling MazeRunner series - now a series of major motion pictures starring Dylan O'Brien! SEE THE FILMS. READ THE BOOKS. ENTER THE MAZE ... The Trials are over. WICKED have collected all the information they can. Now it's up to the Gladers to complete the blueprint for the cure to the Flare with a final voluntary test. But something has happened that no-one at WICKED has foreseen: Thomas has remembered more than they think. And he knows WICKED can't be trusted ... The time for lies is over. But the truth is more dangerous than anyone could have imagined. With the Gladers divided, can they allmake it? Loved The Maze Runner series? Read theprequel The Kill Order to find out where it all began! What a lame ending to the trilogy! 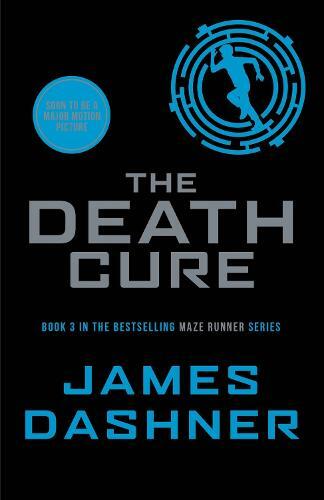 I wasn't overwhelmed by The Scorch Trials, but I could barely be bothered to read this book. It really was very poor. So here we are, the final installment of The Maze Runner series.